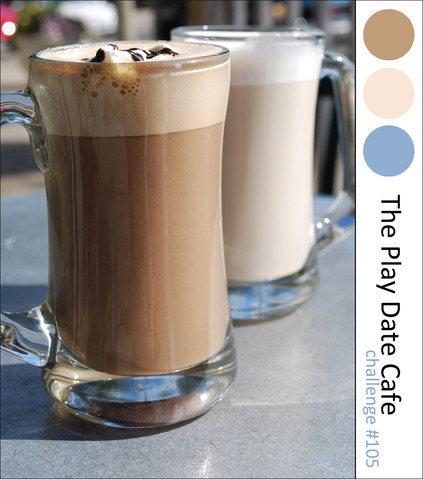 I love the colours in this weeks Play Date Cafe Challenge. I decided to use my new Sizzix and Hero Arts Stamp & Die Cut set that arrived this week, LOVE IT, the dies are fantastic. Absolutely beautiful! I love everything about it! Beautiful!! Love the design! Thanks for playing at The Play Date Cafe! Ohhhh Tracy this is PRETTY! Love the sweet dogwood blossoms. Your overall design is just wonderful! 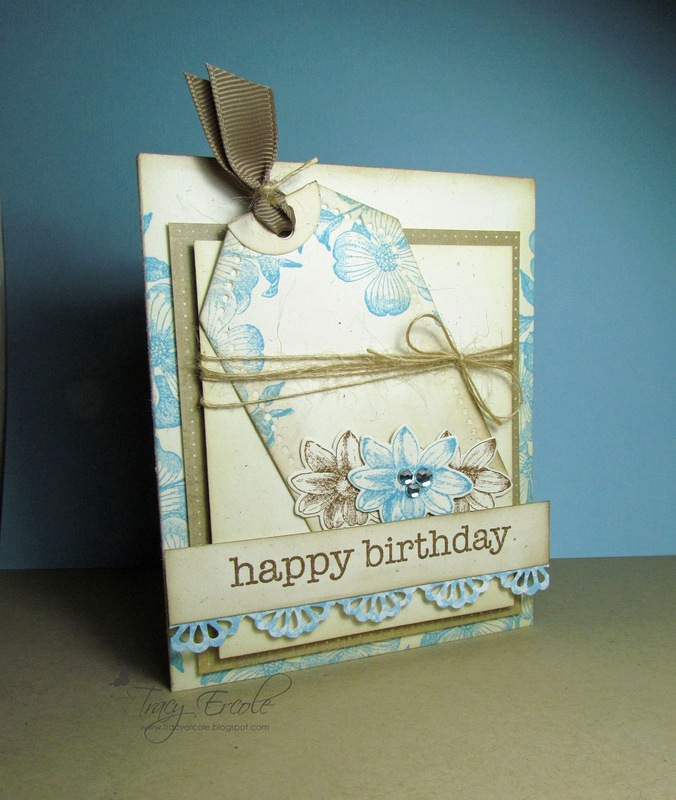 Wonderful card!! I love the scallop punch along the bottom and cute tag on this one :)Thanks for playing along with us at The Play Date Cafe!